Sandra began her career in the Veterinary arena in 1982 where she quickly realised she had a keen interest in developing people. This led her to take up a lecturing role at Bicton College of Agriculture where she was promoted to becoming the first female Head of Department. During this role Sandra underwent an RSA qualification in Counselling Skills in order to better support young people in her care. Following a career break to have her three children, Sandra retrained and set up her own business in wellbeing, driven again by her desire and passion to develop individuals. She returned to the veterinary world joining a global commercial poultry practice based in the South West, where she ran their pharmacy, importing and exporting medication. She also headed up the organisation’s marketing activities and was pivotal in developing new businesses and product lines. In 2013 Sandra joined her husband Phil and became a Director in Sampson Hall. An accredited i3 profiler and a Coach and Mentor she works with executives, leads on Women in Business programmes and as a qualified ISO 17024 EU GDPR Practitioner and Data Protection Officer (DPO) she works with businesses getting them ready for GDPR compliance. Sandra also oversees all business development including new business management, marketing and PR. 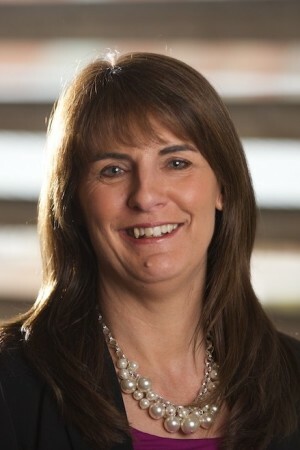 Sandra works very closely with all team members on key initiatives to drive the business forward, and develops close working relationships with local, regional and national partners and associates in order to communicate Sampson Hall’s products and services to business communities. Sandra is also a director of Sampson Hall’s sister company, Motiv-8sw. This organisation runs several programmes that help individuals who are struggling to fulfil their potential through coaching and mentoring. Their programmes improve confidence, self-esteem, leadership and communication skills, giving the participant a tool kit that will lead them back into employment or further training. Sandra is also the founding trustee and chair of a local charity BEEP. Hobbies: Cooking, travel, dog walking and water skiing in the summer. Likes: Spending time with my family and working with positive, ambitious and dynamic people. Dislikes: People who fail to deliver on promises and people who say one thing to your face and another behind your back.